Dolssa is an upper-crust city girl with a secret lover and an uncanny gift. Branded a heretic, she's on the run from the friar who condemned her mother to death by fire and wants Dolssa executed, too. Botille is a matchmaker and a tavernkeeper struggling to keep herself and her sisters on the right side of the law in their seaside town of Bajas. When their lives collide by a dark riverside, Botille rescues a dying Dolssa and conceals her in the tavern, where an unlikely friendship blooms. Young dairymaid Begonia has lost her cow Alfalfa. So she has set off on a search across the countryside even though she has nothing but a magical map to guide her. Along the way she meets a mother and baby, a woodcutter, a very dirty young man, and an eight-foot ostrich. Meanwhile, the emperor has gone missing from the royal palace in a most mysterious manner. Was it murder? Was it magic? It will take all of Begonia's wits to save the empire and get Alfalfa home safely. Poe has vowed to annihilate the river raiders who robbed her of everything two years ago. But as she navigates the treacherous waters of the Serpentine and realizes there might be a traitor among her crew, she must also reckon with who she has become, who she wants to be, and the ways love can change and shape you. Even - and especially - when you think all is lost. Read the novel New York Times best-selling author of The Alice Network Kate Quinn called "easily one of the best novels I have read all year". 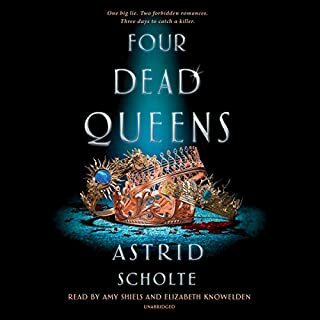 A sweeping, multilayered romance set in the perilous days of World Wars I and II, where gods hold the fates - and the hearts - of four mortals in their hands. 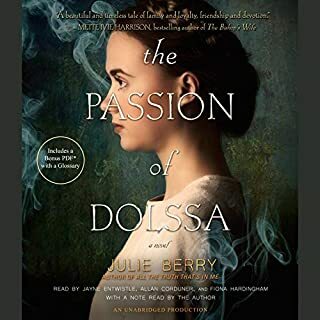 Author Julie Berry's critically acclaimed writing has been called "haunting and unforgettable" by New York Times best-selling author of Salt to the Sea Ruta Sepetys and "utterly original and instantly engrossing" by Publishers Weekly. Many books I’ve read about WW1 and WW2 have been focused on women OR men. This novel creates a full picture of the war’s effects on women, men, race, and nationalism. Rarely has PTS(D) been introduced as a result of service, so that was nice to see included in the broader look at war. It’s not a gory book but I would have liked a little more of a detailed account of James’s battles. 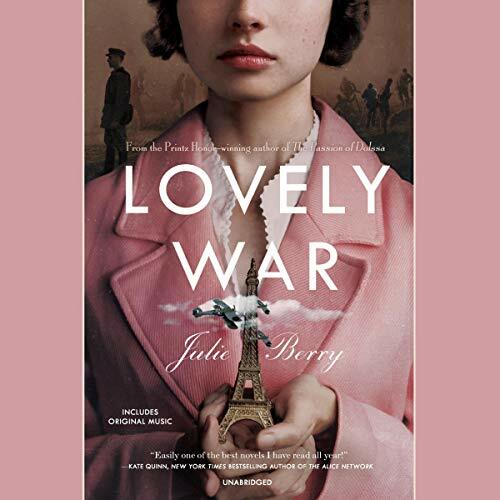 Overall, if war novels are your jam and you’re not looking for something like The Nightingale or Unbroken, then this romantic version is a light and fun read/listen. The narrators are also fantastic. Such a sweet, touching, funny, and heartbreaking story! This is not my typical genre but I loved every minute of it. 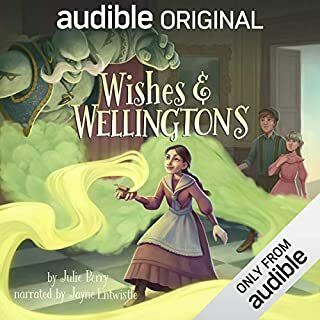 Julie Berry is my new favorite author!! This book was way better than I initially expected it to be. 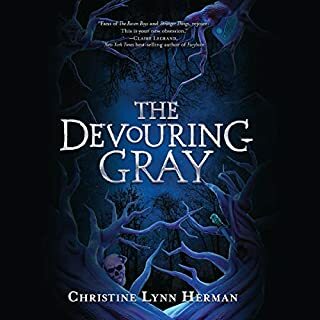 The history that was included in the story was very moving and I loved the way Greek mythology was intertwined with the characters motivations. This read/listen totaly captured my wife and myself. It brought to light a personal side of the average people who were the players in WW1. The performance was very good we loved multiple readers. Using the Greek Gods as catalyst to move the story is interesting. This novel is a war time love story and as such falls in line with likely thousands of other war time love stories. 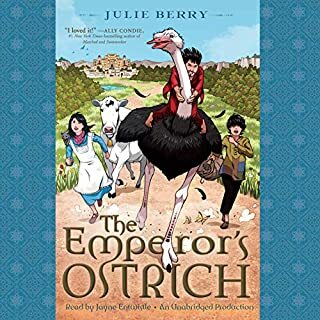 Perhaps because the genre is common the author, Julie Berry wanted her work to standout from the crowd by framing the story of her four protagonists via narratives presented by Greek gods. The initial chapter where this construct is set up had me truly confused as I had not fully read the book details ahead of time wherein it was stated that Apollo, Aphrodite, Hades, Ares, etc would be doing so. Once the reader moves away from the introduction to Aphrodite and Ares “trial” and onto the lovers’ war tale, the novel was an engaging and light listen despite the horrors of war. I kept asking myself, however, why the utilization of Greek gods to tell the story and for them to insinuate themselves into the characters actions via godlike influences. Initially I thought that eventually it will all tie in and I’ll get this author’s conceit, appreciating her choice. That realization never materialized. The gods were distractions and I feel rather silly. The silliness was exacerbated by the voice performances of three of the leading readers: Jayne Entwistle reading as Aphrodite, Dion Graham as Apollo, and John Lee as Hades. In Entwistle’s case, her voice sounds like a prepubescent girl and not at all like the goddess of love, sensuality, and passion despite the words she’s reading. Dion Graham as Apollo and who was the main presenter of the African American soldier/musician (Aubry Edwards) read his part as if he was at the Apollo theater making Apollo sound Black and hip. Finally Hades performed by John Lee, a Brit, was so confused by his remit that when he had the job of speaking dialogue of the Aubry Edwards, instead of trying to affect a genuine African American cadence/accent, he incomprehensibly made him sound like he was white wise-guy from Brooklyn. For me, none of the voice actors were effective and I think it’s because they were confused by the set up as well. It seems as though the producer told them to adopt the attitudes of the characters the gods were presenting as opposed to the gods that they were. I’ve read several positive reviews of this book and well, you never know what people will like or dislike. 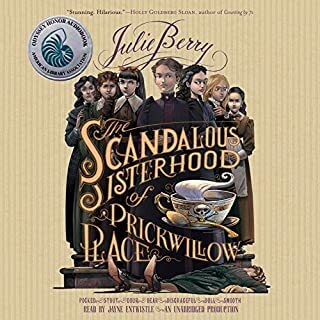 At the end, Julie Berry reads quite a few interesting end notes regarding her research into the book and that section is more compelling than the entire novel. She obviously did her homework and I would be inclined to read further into her suggested reading and wish she had just stuck to a perfectly reasonable novel based on that research as opposed to incongruously insinuating Greek god narrators into the mix. And if these distracting gods just had to be there, have the voice actors be directed to narrate like the gods not the mere mortals.